Every maker has a story. Be a part of Unicole Impressions's story by placing an order, leaving a review, and seeing your review appear here. 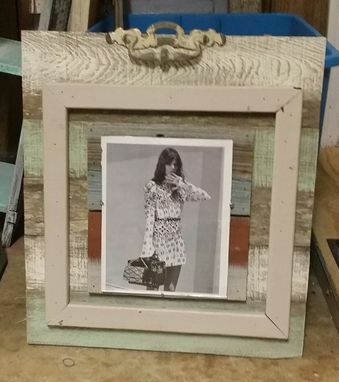 This is as one of a kind picture frame I made from reclaimed wood and recycling what cool things I find reusable, I like creating new things from anything that can come together to become something else. 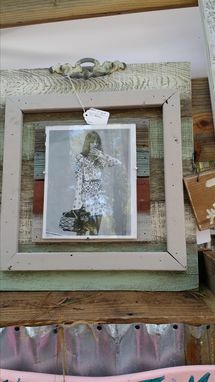 This frame holds an 8x10 picture and hang easily on a wall. 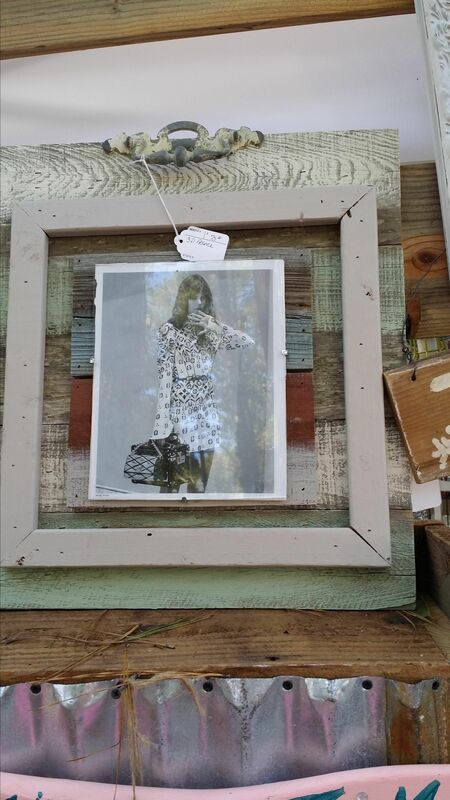 It is very large approximately 21 inches wide and 23 inches height, I will have to measure to get the exact size , the frame is all wood so you can add letters or a name to make it personal. If you are on the west coast or north being that I am in GA I will send you a message for the proper shipping rate, the bottom cost listed is just an estimate due to the weight of this wooden item and wrapping for the glass protection.